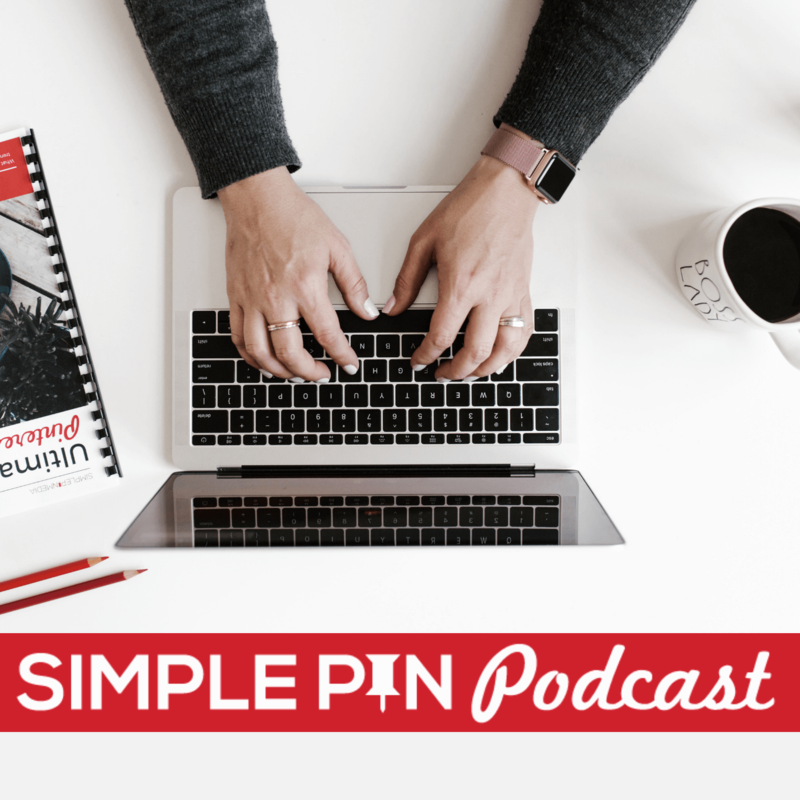 In today’s episode, not only will we talk about building your email list using Pinterest, but we will also discuss some of the pitfalls to building that list, along with some of the more common frustrations. Angela Davis blogs at Frugal Living Northwest, and she is devoted to helping women and families learn to live well on a budget, specifically in the Pacific Northwest. While her blog originally began as a hobby, a couple of years ago Angela and her husband realized they could actually make money from it. So she brought on some contributing writers, and began working on growth. Why Is Building Your Email List Important? If you think about it, your email list is the only thing you own. You don’t own your Facebook page, you don’t own your Pinterest page, you don’t own Instagram or Twitter. But you do own your email list. It’s where you build your tribe; it’s where you invest your time and energy to connect with your people. These people have given you permission to communicate with them. If someone allows you to speak to them through their email inbox, you need to take advantage of that and do a great job communicating with them. When Angela first started, she was just using the Feedburner attached to her blog to send out post digests to her subscribers. Because she is a deal blogger, it made sense to send her readers a post that had all the deals for the day in one email. After a couple of years, she tried a new email system, but it was not user-friendly, and she had trouble figuring it out. She eventually switched to Get Response. How do you choose an email provider? First off, choose the one you can afford. Everyone has a different budget, so choose one that matches what you can spend. Secondly, consider user friendliness. Not all email services work the same, so you need to do your research to figure out which is the best for you. If your email list is small, and so is your budget, you might want to consider Mad Mimi. It is free and very easy for first timers to use and understand. Once you grow your list, you can switch to something like ConvertKit. It’s by far my favorite of all the ones I’ve used. Once you decide on a system, commit to learning fully how it works. Switching systems may not be the answer; learning your current system can be very advantageous. Angela’s main email list hovers around 20,000 people and has been there for a number of years. This large list gets her daily RSS feed with all of the daily posts in it. She began thinking about systematizing her emails because her readership is so spread out. Because Angela’s blog focuses on deals in the Pacific Northwest, she knew that folks who live elsewhere in the country, while they may want her recipes or other content, had no desire to get the deals for the geographical area she covers in those posts. Seventy-five percent of Angela’s posts on her blog are specific deals for the Pacific Northwest. But she also gets a lot of traffic from Pinterest. If someone clicks on one of her recipe posts in Pinterest and comes to her page to sign up for her email list, they don’t want to get a bunch of emails on daily deals in the Pacific Northwest if they live in Mississippi. By segmenting her lists, she can now have a specific lead magnet for these women who come and send them information, posts, and deals that would apply to them, without bombarding them with information that doesn’t apply. In November of 2015, Angela decided to do some internal marketing and make a new list. Here is how she went about doing that, step-by-step. Titled the new email list – Homemaking List. Created a 1-page document – 5 Recipes to Master in 2016. Loaded the document onto the blog. Created a Lead Magnet using Lead Pages. Searched her Pinterest posts for the top ones in Homemaking, in order to decide where to advertise the lead magnet. She also put them in all the posts with a December publish date. Created a custom sidebar to show only on those homemaking posts she had narrowed down. In this sidebar, she removed the majority of ads and other content and placed a large button promoting the new lead magnet. Added a lead box inside each post she had singled out. Angela set it up so that once a reader clicks on the lead box, it pops up, the reader enters their email information, and it never takes them away from her site. When they’re finished entering the information, the blog post they were reading is right there waiting. This Homemaking List that Angela set up seven months ago is now at over 800 subscribers! You obviously can’t just set up lists and then email those people a bunch of affiliate offers. You have to communicate with them regularly and genuinely. You want them to know and recognize you from past communication. Angela uses an autoresponder series set up for these lists; and these emails go out at the same time of day, on Mondays, that the person signed up for her list. She uses Get Response for this auto-responder series of emails. Each email in the series includes either a recipe or a general kitchen post. The order of emails she sends is a dinner recipe, a dessert, a tip or trick for the kitchen, (like her ten favorite cookbooks or something like that), etc. They don’t get just a bunch of cookie recipes. What Is Realistic Email List Growth? Ever see those ads that promise “you can grow your list by 10,000? !” Is that normal?? Well, that depends. What does your traffic look like? What is the size of your main email list? How do you not get discouraged by the size of your list? First of all, stop comparing yourself to those people who are telling you outrageous claims. Secondly, look at your niche. As a deal/lifestyle blogger who is marketing recipes, Angela’s list is going to naturally grow more slowly than someone who is selling courses for small business owners. Finally, be appreciative of the people who have signed up for your list! Give those loyal readers a really good experience. Find new ways to send information to those readers. Make them expect to hear from you. When Angela had the opportunity to market the Adore Your Wardrobe course from Kelly Snyder, she knew that while it wasn’t exactly in her niche of deals or kitchen help, there were definitely women on her large, main list who would be interested in the course. So what did she do? She created a webinar. She did some quick promotion through her main email list, on her blog, and on Facebook. She also dug into the course and found out ways that it would resonate with her specific audience, who expect frugal tips. She was able, through those who signed up for the webinar, to get them on a specific email list of readers who are interested in frugal fashion tips. Now she can communicate specifically with those subscribers. Don’t try to market just anything that you think will make you some quick money. In order to develop trust between you and your readers, you need to be passionate about what you share with them. To sum up, the plethora of information that we shared today, let’s list out the most important things you can do to build your own lists! Distinguish between your blog’s RSS feed and an actual email that you send out. Make sure that the subject you are covering for the list is something you love and enjoy. Have realistic expectations of growth. Build a relationship with your readers over time. Communicate in the ways that you excel, whether through writing, webinars, etc. I loved this podcast and learned so much! I appreciate Kate’s wisdom and Angela’s enthusiasm and experience. I have a small e-mail list because I am also in a niche, even smaller than Angela’s. I have a ballet teacher website. I am sure some of these awesome ideas will foster growth in my select market. So tired of all the hub bub about growing your e-mail to 10,000 in ten minutes~ silly. I also wonder who really sticks around for those sites? My humble opinion is that it is better to grow gradually and really engage with people who are truly interested in your ideas and info! It is refreshing to hear a realistic approach. Pinterest has always been one of my largest drivers to my Etsy shops and now, my website. This is just delightful to hear! Sarah you have such a strong presence on Etsy and your products are amazing. Keep those 100 people engaged and build trust with them. You’re doing a great job. Thank you Kate~ I appreciate your high quality podcasts too! I appreciated this podcast so much – thank you both for your time and realistic ideas. I’m inspired so much. Now to get to work. YAY!!!! That was our hope. Thank you so much for commenting. Keep us updated here. Kate, I just had to take a moment to say how much I love your podcast and website. As a new business owner, I’ve been trying to figure out how much time to spend learning versus doing. It’s very easy to get caught up in both. When I listen to your podcast, I find that I come away with two or three actionable steps that I can do right now, or that I can write down for when I’ve grown a bit/have more time. I feel like learning from you is an excellent use of my limited time.